When you sign a tenancy agreement, you are often asked to provide a deposit to give the landlord security that you will not damage the property and that they will have money to fix any damage you cause. Deposits can be anything from a week to 6 months’ rent and you are usually returned your deposit on leaving the property provided nothing has been damaged. 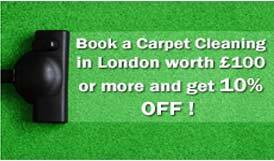 However, getting a deposit back can be difficult, with contracts allowing for ‘fair wear and tear’; but the categorisation of this being completely subjective, people may find themselves loosing thousands of pounds because of a small scuff mark. 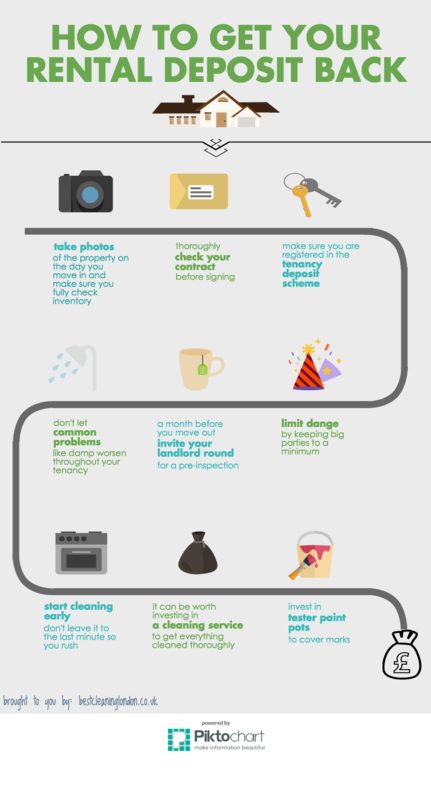 We offer end of tenancy cleaning to help you get your property back in tip top shape before the move however to help you do everything you can to not miss out on any of your money, we’ve put together this infographic of way to get your rental deposit back.